British Gas - one of the UK's "big six" energy suppliers - has become the latest company to announce that it won't be partaking in Which? 's Big Switch scheme, according to an article published by This Is Money. Designed to allow customers to utilise the power of collective bargaining to buy energy at a cheaper rate, the Big Switch has attracted around 250,000 consumers so far. However, British Gas has refused to take part in the scheme - three weeks before the first auction - on the basis that its current proposals are not "simple, transparent or fair for all customers." Managing director of energy at British Gas, Ian Peters, stated: "We support the principles of collective buying and switching for energy customers in Britain, but any new buying mechanism must be simple, transparent and fair for all customers. "It should also provide an opportunity to engage not just those who already switch regularly, but a wider group of consumers to help them get the best value for the money they spend on energy. "We believe there should be more debate about the potential for collective buying and switching - with the aim of finding solutions that are genuinely in the long-term interest of customers," Mr Peters added. In response to Mr Peters' comments, a spokesperson for Which? told This is Money: "We have been fully transparent throughout this process. Which? is a not-for-profit charity and have been clear that we would charge a fee to the winning supplier in order to cover our costs. The Big Switch is not about encouraging below cost pricing but rather establishing the best price for customers, many of whom are struggling with rising energy bills." 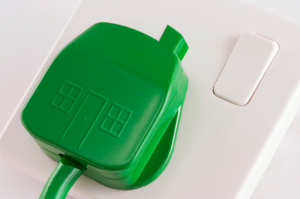 Energy suppliers Scottish and Southern Energy, Ovo Energy, Ecotricity, Good Energy and Utilita have all previously confirmed that they will not be participating in the scheme.